My friend Ole had an idea last year. The elderly who are in care homes need to get out a bit more. They grew up on bicycles. Why not take them for a ride? 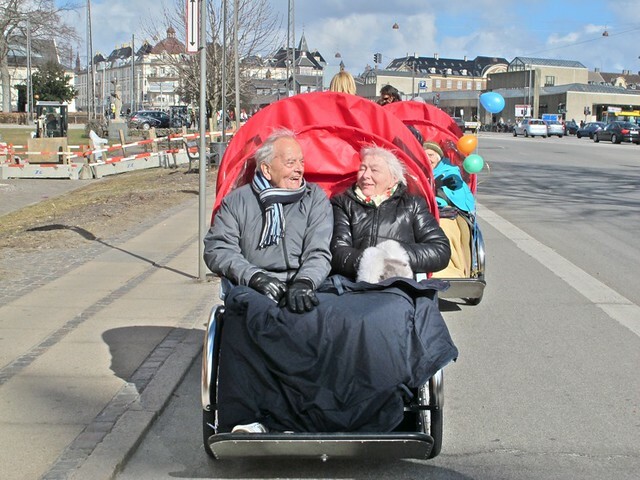 He borrowed a Christiania pedicab and volunteered to take the residents of a care home for a ride through the city. Talking with them, hearing their stories, showing them their town from the cycle track. The idea is good. 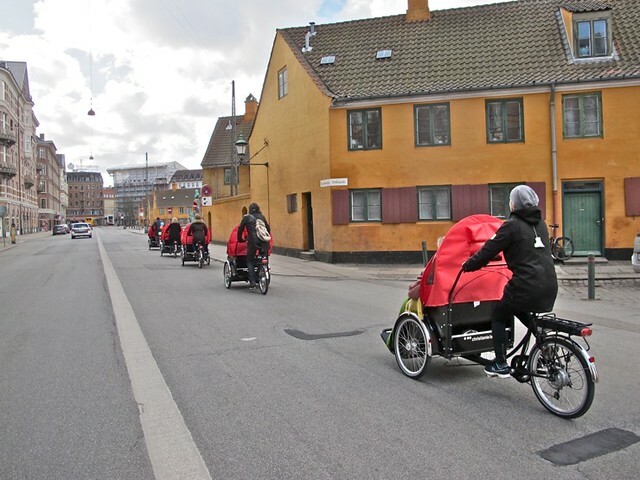 So good that the care home invested in a fleet of the pedicabs from Christiania Bikes. 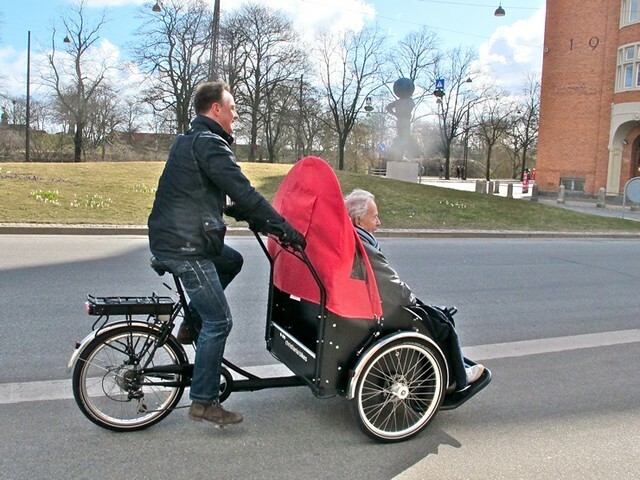 Now Ole took it to the next level and he started a group called Cykling uden alder - or Cycling Without Age. Last weekend they arranged a fantastic bike ride through the city with the fleet of pedicabs and a group of supporters. 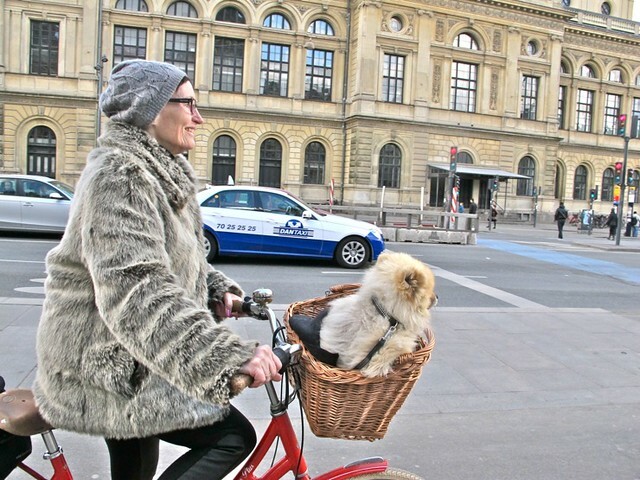 "Cycling Without Age is about quality of life. It's about showing that the city is at it's loveliest when seen from the cycle track. It's about the fact that cyclists are happier. It's about the fact that cyclists are healthier, live longer and are less ill.
We want to promote that more people use their bicycle each day. 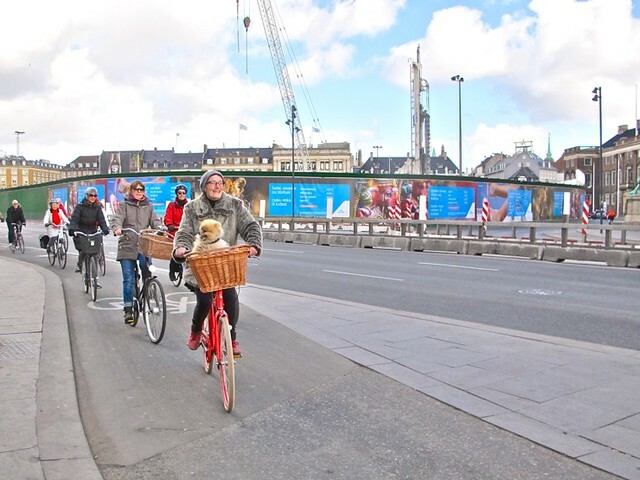 There are already many that ride here in Copenhagen, but we can be many more. Especially children and the elderly. Everyone who met up here today (at the bike ride) are living examples that we can make a difference. Will you do me a favour and tell at least one person about this day and this bike ride and get that person to cycle more? 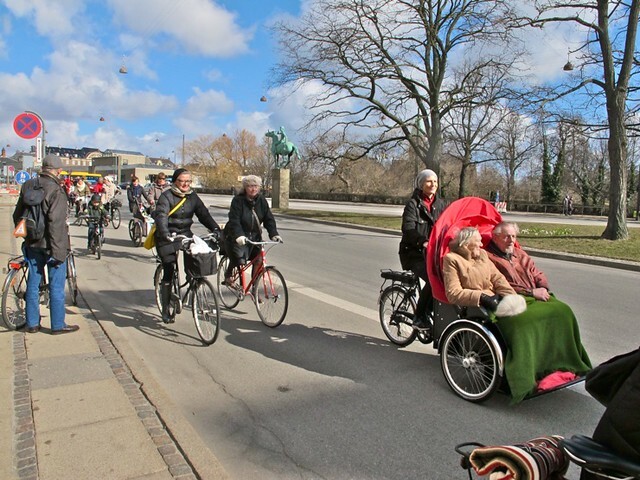 If you do that, you'll be a part of creating a better city and a better and happier Denmark." What can you possibly add to that but some photos? Ole's mum was on the ride, too. And here's Ole himself, in action. Having inspiring friends is a gift. Ole is also on the board of Cykelrepublikken. 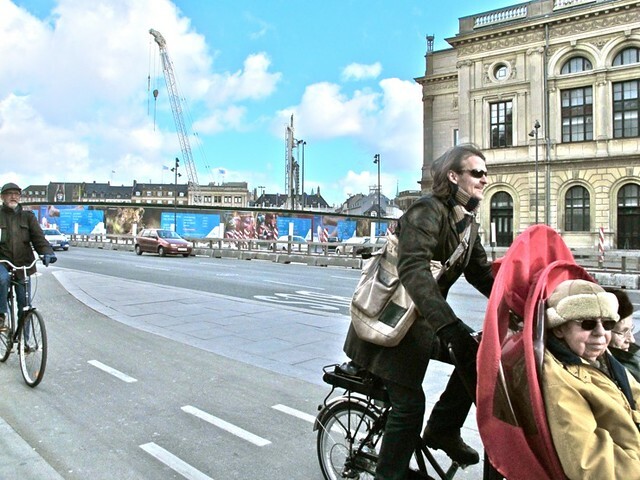 All the photos are by Sandra from the always brilliant Classic Copenhagen blog.